Mary – waiting her turn to enter the starting box. The one thing I realized yesterday was that for most of the day Mary was walking up and down the dock in the opposite direction from everyone else. 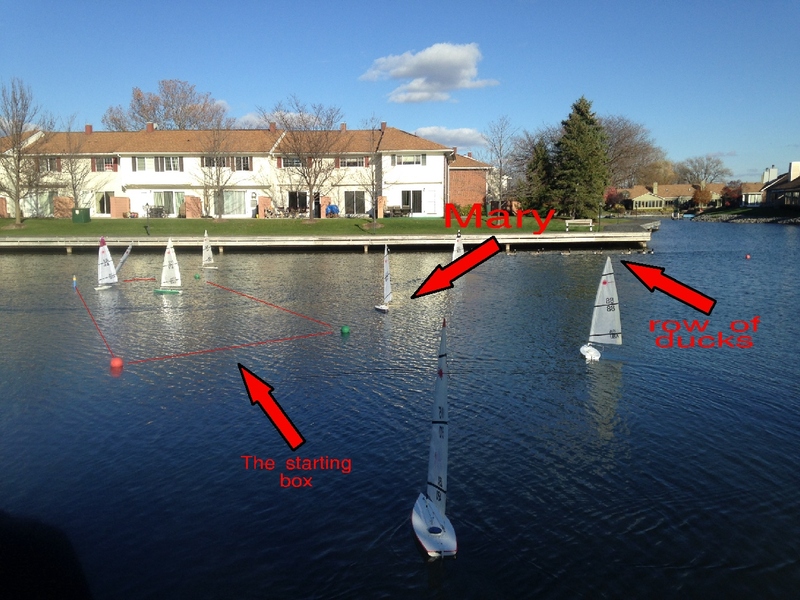 That meant that while everyone else was fetching the windward mark Mary was already fetching the leeward mark. “Great sailing Mary”. 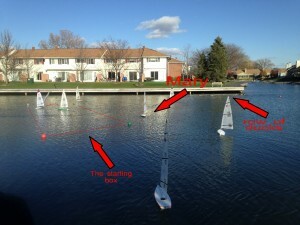 We will be meeting up one last time (Sunday 2-4pm) at Holiday Harbor to finish the Frostbite Series and to say good night to our boats until warmer weather arrives or we head south with our bags in hand. We have been very fortunate this year having the Frostbite weather act more like Fall. Please join us for a final day of racing, food, wine, and good old fashion cursing on the docks.